Harlech Town Seen From Top of Harlech Castle. 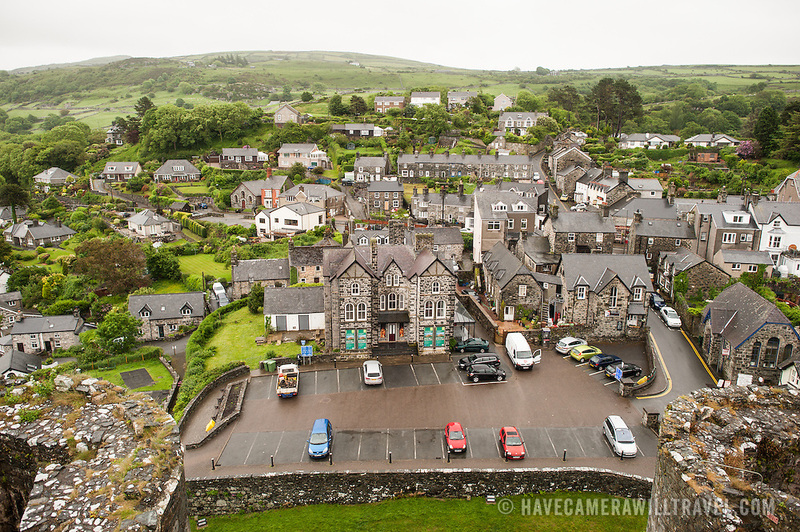 View of part of the town of Harlech from the ramparts of the castle at Harlech Castle in Harlech, Gwynedd, on the northwest coast of Wales next to the Irish Sea. The castle was built by Edward I in the closing decades of the 13th century as one of several castles designed to consolidate his conquest of Wales.